KTM UK and MSVR are evaluating the possibilities of creating a UK ‘KTM RC 390 Cup’ to run at selected MCE British Superbike (BSB) rounds throughout 2015. With MSVR’s expertise and to encourage youth participation in affordable, production based racing?at the most visible level, KTM are fortunate to be in the position to deliver an exciting and colourful motorcycle to feature in a race series that will highlight young talent, alongside the world’s premier domestic series, the MCE British Superbike Championship. 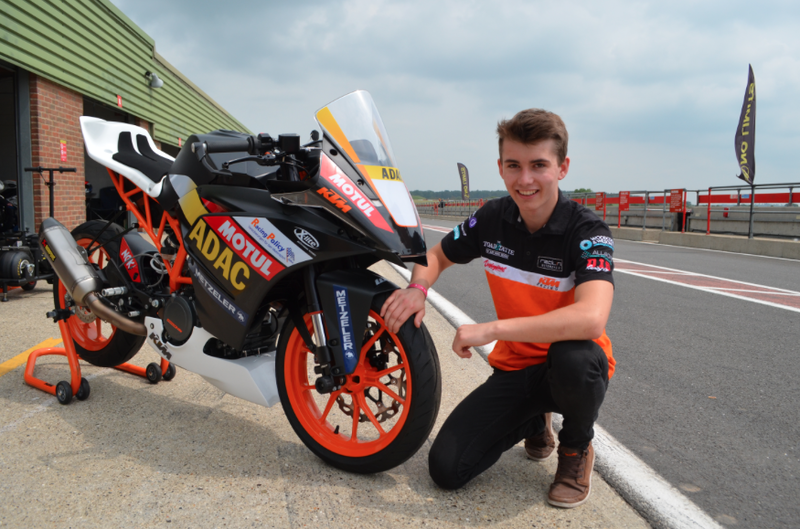 A similar series, powered by the imminent KTM RC 390 production bike, is currently being run very successfully by the German ADAC organization, with a grid of over 30 young riders battling out at selected rounds of the IDM championship and was also a support race for the recent German round of MotoGP at Sachsenring. The RC 390 is an exciting, light and practical sports bike with a 44hp, 375cc single-cylinder four-stroke engine housed in a steel trellis chassis and fitted with top-level components. The Cup version takes this already energetic machine and focuses it for track use solely, using a whole host of official KTM PowerParts that will also be publically available. The fully adjustable suspension package not only allows for individual set up for each race; it is also a valuable learning tool?for suspension setups. The bike has adjustable foot pegs and handlebar levers to create personalised ergonomics, making it ideal for young racers that are still growing. KTM UK will be present at the Oulton Park round of the British Superbike championship this weekend on August 9-10 with one of the ADAC KTM Junior Cup series bikes. Staff will be there to talk to riders and companies interested in getting involved with this potential one-make series in 2015. KTM UK Marketing Manager, Simon Belton, said:“KTM is a ‘Ready to Race’ company that is also committed to developing future talent, such as with the Red Bull Rookies MotoGP Cup. A UK version of the RC 390 Cup will allow MSVR to provide a very cost effective and competitive youth series along with offering KTM UK a very exciting platform to introduce the production version of the RC 390. There will also be a dynamic display of the bike over the course of the weekend with Motostar championship contender, Joe Irving, taking the bike around Oulton’s swooping ribbon of tarmac. The bike is the only one in the country and Joe has already had the opportunity to ride it around Snetterton. If you have an interest in participating in the?proposed RC 390 Cup series next year, please emailinfo@ktm.co.uk, in the subject line put RC 390 Cup 2015 and include your name, address, post code, age, riding experience and preferred KTM dealer. We will then ?send you details when they have been confirmed.